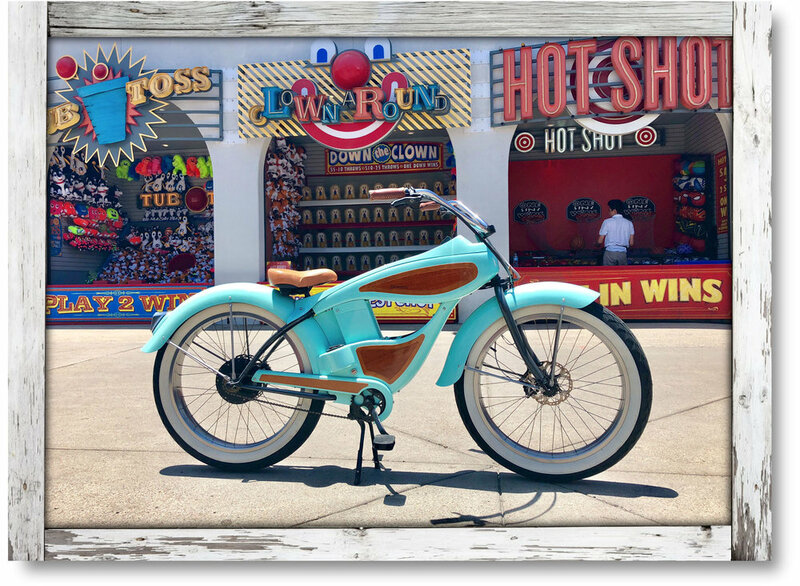 All new for the summer of 2019, Fat Woody beach cruisers are the coolest thing to hit the beach since Frankie & Annette and the Beach Boys. 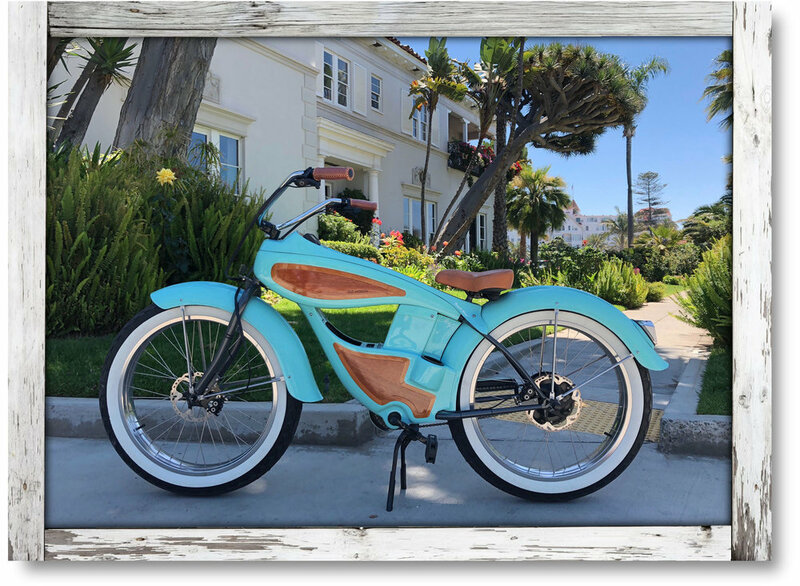 Inspired by the woody wagons of 1950’s California surf culture, these colorful beach cruisers are handcrafted locally and finished with real mahogany, white oak and premium leather. 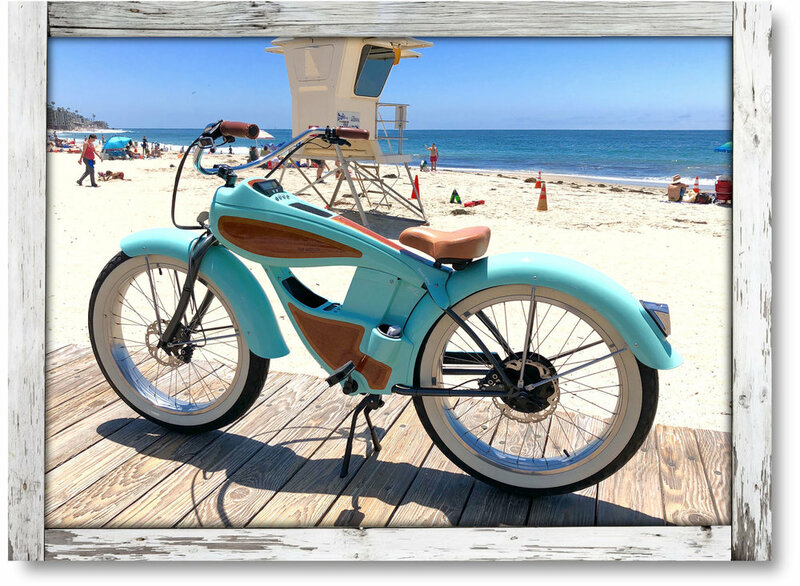 If you’re looking for a truly unique and memorable southern California experience, just take a ride on one of these luxury beach cruisers. 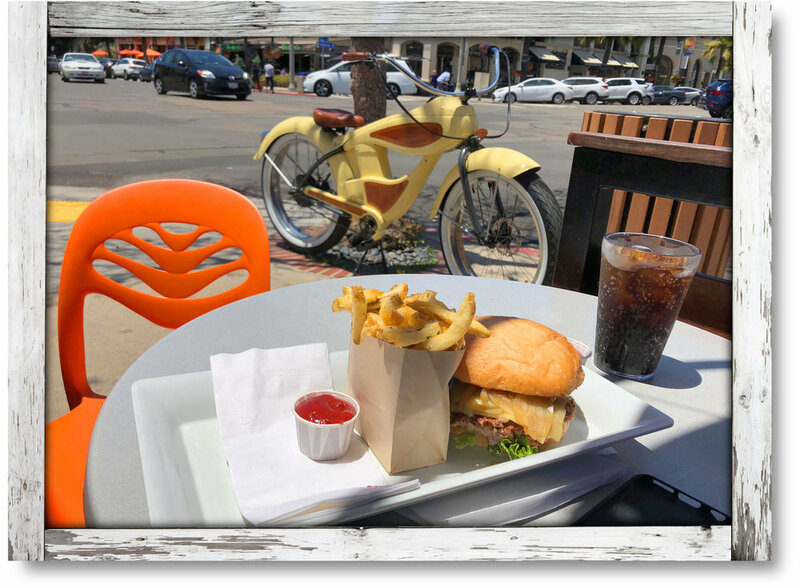 The balloon beach tires provide a soft spongey ride and the super-fat saddle is comfortable to sit on for longer cruises. Coronado has some of the most beautiful coastal bike paths in California. 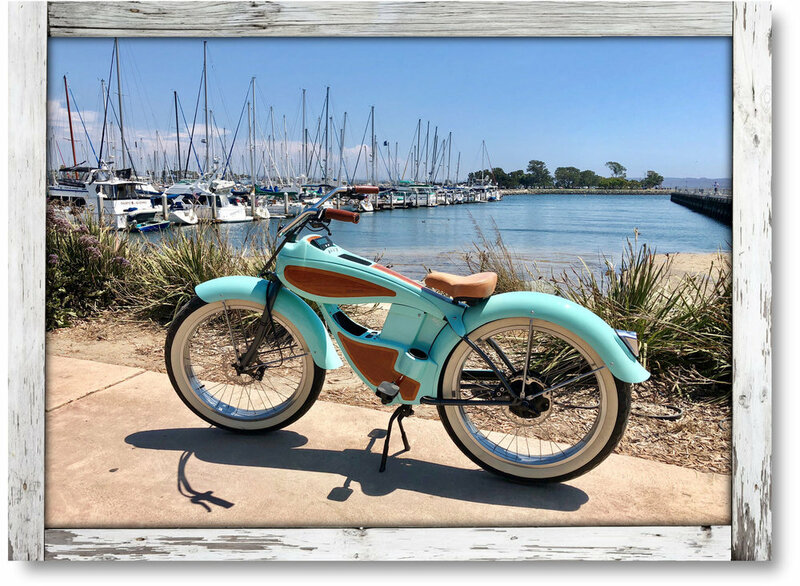 These retro-cruisers feature a cool fiberglass body with places for all your stuff - smartphone, beverage, sunscreen, wallet & keys. Connect to the on-board wireless speaker and stream your favorite playlist while you cruise Coronado’s shoreline. Experience an authentic Southern California lifestyle. 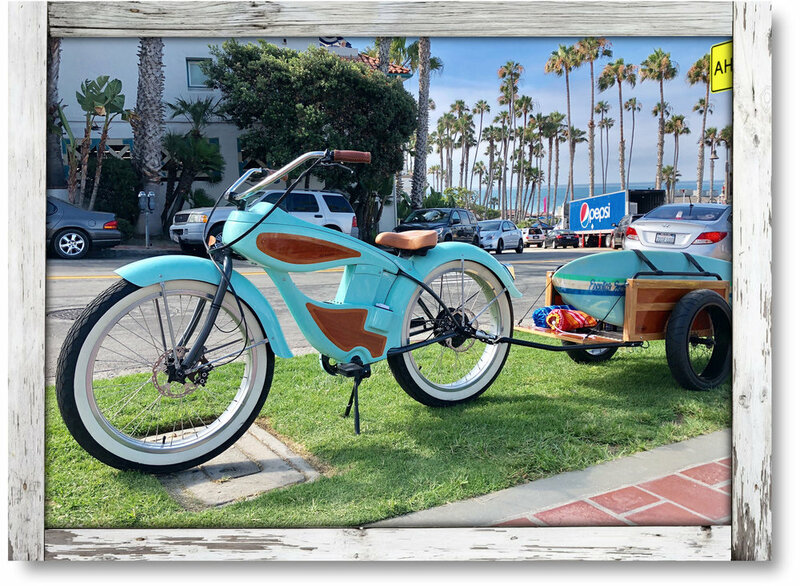 You can pedal if you like, but Fat Woody’s integrated electric drive system will easily push you along with the breeze at a gentle cruising speed of 8-10 mph. 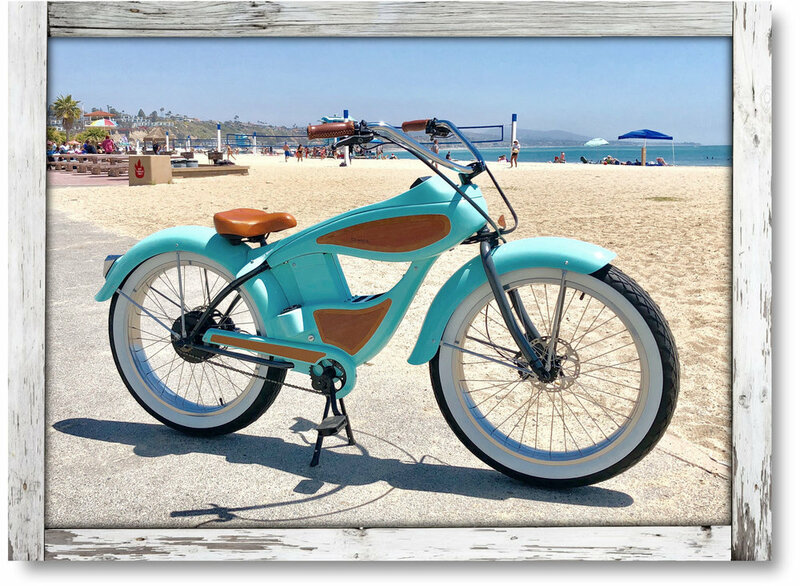 Fat Woody beach cruisers are the creation of local artisan and fabricator, Ken McNeill. “I designed this bicycle with the fifty something in mind (me). Relaxed exploration without exhaustion. Comfort starts with relaxed ergonomics and your feet on the ground. The seat has been lowered and moved back to a more recumbent posture. No need to dismount the bike when you stop.. I also widened the rider area from the pedals to the center control console providing riders with a very comfortable cruising posture. Basically this widens your legs, knees and thighs while you ride. Then there’s the saddle. A cruiser seat should be a soft leather cheek cushion, not a hard wedge. Lean back on your cheeks and let the handlebars come to you. 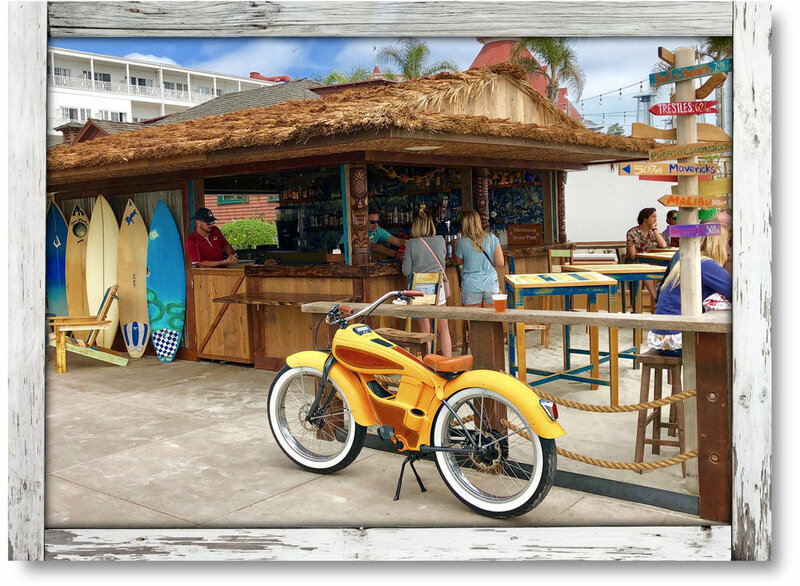 The Beach Cruiser Experience is limited to 6 guests, so book early - Price is $119 per guest. We have multiple cruise departure times available each day. 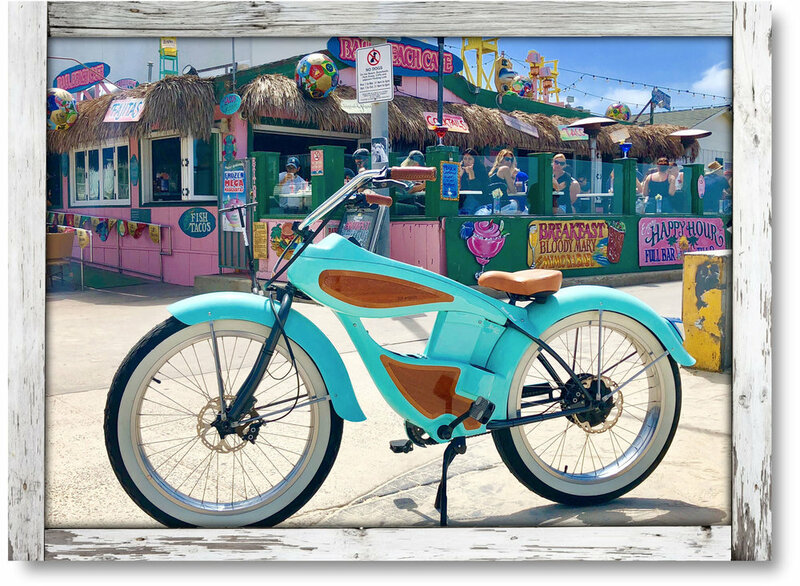 Your cruise director will lead your parade of colorful beach cruisers through some of the most beautiful neighborhoods and coastal paths surrounding the our island community. 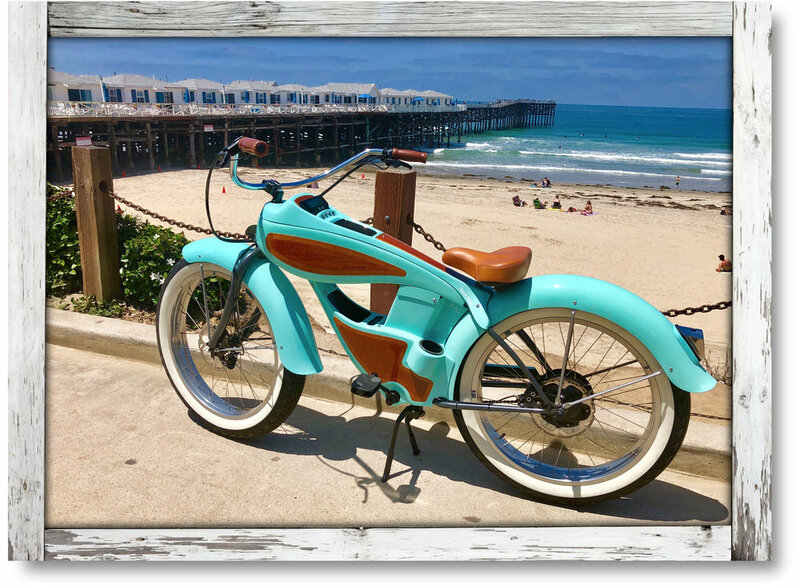 Coronado is rich in history and has an incredible story, so we’ll be stopping at fun photo spots and locations of historical interest along the way. Don’t forget to bring your camera! Complimentary beverages & snacks are provided. Allow 2 hours for this 90 minute guided bike tour (check-in, instruction, etc).